Here at Chipsee, we want to give our customers the best possible solutions for industrial electronics. That is why we offer our Customization Services – to make sure your idea can become a reality. We specialize in customization of both hardware and software solutions. On the software side, we focus on customized operating systems for industrial displays and embedded PC. When it comes to hardware we design and produce industrial PCs and displays with different System-on-Modules, screen resolutions, sizes, and touchscreens. This way we make sure that the product you bought fits your company’s needs perfectly. So, next time you have a great idea, and you’re wondering how you could turn it into a real product, contact us, and we’ll help you with everything. 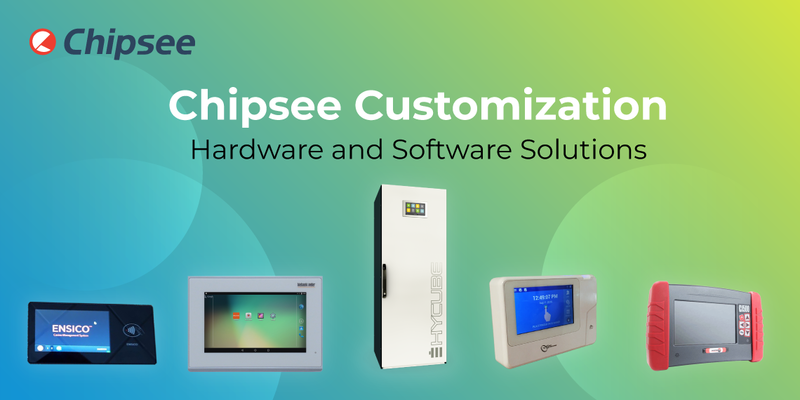 If you want to contact us, and get customizes industrial solutions as well, please use the form on the Chipsee Customization page. Tell us what you need, and we’ll start the process from there.